RT @lehawes: Email is not a collaboration system!! It is a communication system. People started getting riled up. Some solid points were made about people using it for collaboration, but my point was that people using email for collaboration doesn’t make it a collaboration system. I collaborate using the phone, but it isn’t a collaboration system. I decided that a post was needed to fully explain the difference as 140 characters is just too limiting. Bowl of Sugar Cereal X, complete with a box of Sugar Cereal X in the background. Here’s the thing, when you bought said cereal, you just ate the cereal. You didn’t have it with eggs, bacon, or fruit. You might have a glass of OJ, or some other juice, but you usually didn’t as the sugary milk left in the bowl quenched any actual thirst. Even today, Kellogg’s suggests that a healthy breakfast that includes cereal should have a glass of milk and a banana. The point here is that just because I had cereal, and only cereal, for breakfast doesn’t mean I was getting what I needed for breakfast. It satisfied the need to not be hungry, but I wasn’t getting all the nutrition that I needed. Cereal works better as part of a complete breakfast. Email is a great communication system. I can send someone a message and send them files for them to interact with at their leisure. I can take communications and forward them to people that need to see the same piece of communication. It is wonderfully effective. I can use it to collaborate. I can send a document to someone and they can review it and send it back to me. But is email a Collaboration System? No! Try having ten people look at a document, or just a few with several iterations. Try involving someone part-way through a collaborative process when they aren’t on the email chain and see how hard it is to get them on all of the “Reply Alls”. What about linking emails so that they are related, even when they aren’t in the same thread, including both sent and received? When collaborating with someone outside your organization can you just give them an account to use the same calendar and public folders? Probably not, so you just copy them on items and hope that you are on email systems that trade artifacts well. Email is not a collaboration system. It is great for the occasional collaborative efforts, and quite useful when use with a real collaborative solution for Alerts, Invitations, Notifications, and other nifty features. It just isn’t built to host a full-fledge collaborative project. Remember when Morgan Spurlock made the movie Super Size Me about eating McDonald’s for 30 days? He gained a lot of weight and had some liver damage. McDonald’s isn’t that bad for you, as long as you eat it in moderation. Living off of the sugary breakfast cereals would probably have a worse impact on someone’s body, but having the occasional bowl won’t doom you. Email is the same way, fine for occasional collaboration, but when you need to collaborate a lot, you need to get a real collaboration system. 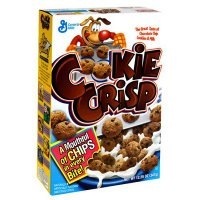 As a side note…I wonder what non-cereal breakfast foods would match different parts of a collaboration system? Twitter=Bacon? SharePoint=Slimfast? eRoom=Ovaltine? What would be the eggs? Amen! I have too many co-workers that use email as their primary means of collaboration. They email slide shows and docs around all the time, and its is a pain to pull together collaborative edits. I prefer emailing around the path to a shared file, and using tracked changes to handle that. If only I could steer these people away from the hierarchy of shared file systems into either a wiki or a CMS….but, alas, its too radical a change for many. BTW, I think wiki would be eggs. You know, different ways to fix ’em up, but they are tasty none-the-less. Just add what you want on the end, like salt-and-pepper or ketchup and Tabasco. Mmm! Thank Greg. I had one reader equate Wikis with Toast. I like your better as you explain your rational. Also glad to see that I can occasionally share something that you find useful. Looks like I really stirred the pot with the original tweet on the subject! Please allow me to provide some context to the tweet. I was listening to an employee of a major ECM software vendor during a conference call presented to an audience of industry analysts. Folks who pretty much know their stuff. While describing a newly released enterprise social software product, the employee tossed off a comment that basically said “email is a collaboration system”. His wording was not identical, but VERY close. I nearly fell out of my chair and considered exiting the conference call immediately. I sent out the tweet that is the germ of this post instead. I love the breakfast analogy, Laurence! I also, of course, agree with your analysis of the limitations of email as a collaboration system. Spot on! Email can add value to an organization’s collaboration practices, but it cannot be the backbone of those efforts. I had been meaning to get back at you. My simple Re-Tweet really got me worked-up. It is good to know the reasoning behind the Tweet that started this discussion. Thanks for chiming in Larry. The reality is email is still being used because of the mass adoption of blackberry devices and old habits. Its just too easy to fire off an email. And if you’re on the road and live by blackberry, email is THE collaboration tool you use most of time because of convenience. What you should have said is that email is not the best means to collaborate in all cases — especially given scale or volume of information. It’s obviously hard to organize, manage, AND put a “context” around emails. Whether someone uses email or eRoom or Sharepoint — it just all depends on the context of the collaboration. Obviously products like eRoom, SharePoint, Quickr or other web 2.0 apps are better tools for collaboration. However, it’s one thing to just get people to stop emailing documents and put them in some organized context like a SharePoint site or eRoom. Unless you grew up with facebook, it may not be second nature to actually leverage all the other collaborative features these tools offer. And generally someone like project mgr or power user needs to evangelize and drive the use of these tools to make a cultural shift — which has happened in many many organizations. Rich, thanks for your thoughts. The next year is going to be an exciting one in the collaboration space. Your analysis of how blackberry contributes to email being used for collaboration is spot on. However, I work with many enterprises where the blackberry is not the culprit, just old habits dying hard. My point is that using email for collaboration doesn’t make it a collaboration system. Getting people to shift requires, as you point out, a change in their mindset of how they work. Mobile interfaces to different collaboration systems will help that, especially if they are tightly integrated with email. The issue of e-mail as collaboration platform is one I have battled for years. I have worked in SMB’s, ranging from 60 to 200 users and many of my users are technophobic and barely comfortable with e-mail. Adding an RSS sidebar to their mail client just didn’t work. The only thing that eventually had some success (in a Lotus Notes environment) was a combination of Sametime bots to provide realtime notifications and modifying the mail template to embed RSS feeds directly into mail. Quickplace (and now Quickr) was cost prohibitive for that company. I’ve worked for the past two years in an Outlook/Exchange environment and haven’t found anything that works yet. We set up a demo environment for Sharepoint and users didn’t see it as an improvement from what they’re doing now. That’s probably because it was a very vanilla install, and it really drove home with management the amount of customization you have to do to tailor any collaboration solution to your business and your users. Another point is all the headaches that using email for collaboration creates. Think about the last time you took a real vacation and you came back and check your emails to have 30 messages on the same thing each with little new. Or you were at a client meeting and every 30 seconds your phone buzzes because someone sends a little tiny update to an email stream. We need to cut the cord on email as collaboration. Of course if email is to stay a collaboration system then maybe Microsoft needs to do something about Exchange. Ah, but if it works, would it still be called email? Will it be able to handle the entire collaboration solution? Time will tell.